Turbo charge your weight loss with these hunger killing recipes. If you pay attention to social media you’ve probably seen so many of today’s celebrities following a low-carb diet and losing lots of weight fast. You also hear them using the term fat bomb. And in today’s post I’m going to tell you why eating these fat bombs are helping celebrities lose weight and keep it off; and I will give you some really quick and easy recipes for fat bombs (just like the celebrities are eating). Now, fat bombs are basically little tiny bites of food that are mostly made up of good healthy fats like coconut oil, cream cheese and avocado. The reason they work is because they activate a small section in the small intestine that releases hormones that decrease or stop your appetite. Yes, you read that correctly. When you eat good healthy fats and they pass through this section in the small intestine, the intestine releases hormones that will help to decrease or stop your desire to eat (for as long as 3 hours for most people). When you combine these fat bombs with our weight loss pills and our sensible eating plans you have an awesome combination to help you achieve your weight loss goals. But I must ask you please not to add these fat bombs into your diet haphazardly. Please discuss adding these to your nutritional plan when you see me on your next visit. Place all of the above ingredients into a bowl and blend them well together. Next, just pour them into a candy mold and allow them to freeze until they are firm. This recipe usually makes 10 pieces. Place your coconut butter and coconut oil in a pot over a low flame and stir until it’s nice and smooth and then stir in the shredded coconut and stevia. mix everything until it’s combined together. then, just pour it into a candy mold and let it freeze until it’s firm. Next you can melt approximately 3 oz of dark chocolate and just pour it over top of your firm coconut cups and set it back in the freezer. This recipe usually makes approximately 10 pieces. I hope you enjoy these recipes as much as my family does. If you, a loved one family member or friend need help with achieving your weight loss goals I invite you to call us and schedule your free weight loss consultation. 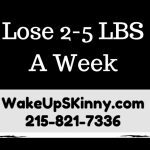 Call us now at 215-821-7336 and Lisa would be glad to set up your free weight loss consultation. This entry was posted in Diet Doctors in Bucks County, Diet Doctors in Philadelphia, Medical Weight Loss, Medical Weight Loss in Philadelphia PA, Medical Weight Loss Philadelphia, weight loss philadelphia, Weight Loss Recipes and tagged "Philadelphia Diet Doctor", medical weight loss in philadelphia, weight loss in philadelphia on July 30, 2017 by Dr. Michael Kenny.